The book, Images of Afghanistan is available now! Click on a link below. Dr. Loewen and Dr. McMichael are personal friends of mine, so it is a privilege to recommend their book. They demonstrate a first-hand knowledge of the country, gleaned not only from scholarly research, but also from living and working for years within the community of Kabul. Drs. Lowen and McMichael speak fluent Dari and have wide respect among both Afghans and expatriate workers in Afghanistan. Here is a new opportunity to learn more about Afghan culture. 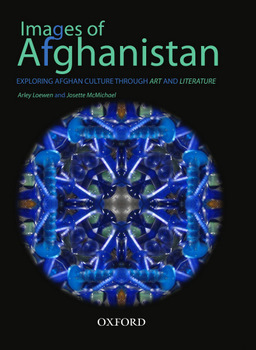 provides the first ever overview of the art and literature of Afghanistan. Easy-to-read, it provides a kaleidoscopic treasure-house of Afghan culture. You will discover Afghan poetry, folktales, short stories and other diverse forms of Pashto and Dari literature. Learn how music, art, and film are integral to Afghan society. Explore the history of Afghanistan and traditional art forms such as calligraphy and ceramics. Read up on cultural topics such as shame, honor, and patronage in light of modern-day Afghanistan.